This colorful dry fruit box is square in shape. 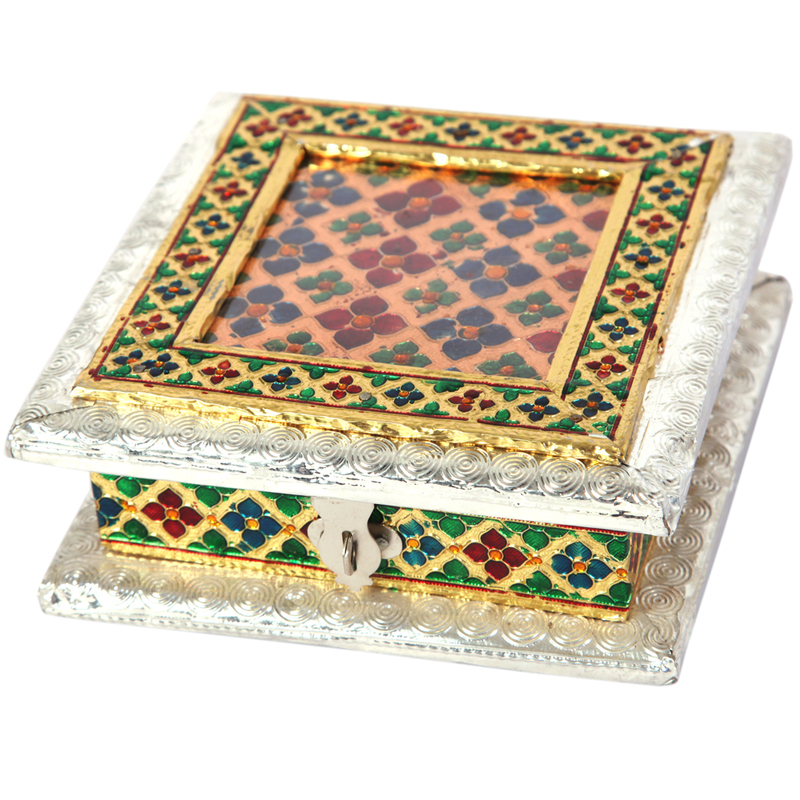 It is a closed storage box where dry fruits can be stored and also gifted during Read More..diwali or such other occasions. On the upper surface, orange, red, green and yellow colors are used to create the meenakari work. The border of the upper surface is silver in color. On the bottom as well the borders are silver in color. the borders on both upper surface and beneath protrudes outward. Show Less..